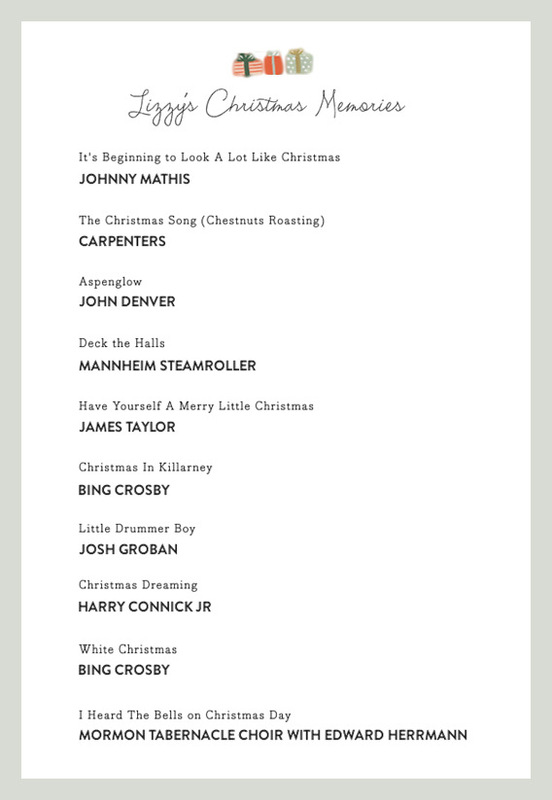 I think most people have a list of Christmas songs that just "start the season". It's that way for me, at least. Music is such a huge part of holidays to me. Partly because I'm a musician, and some of my fondest memories are of my family singing Christmas carols around my parents' piano, but also because hearing a certain song illicits different memories. As soon as I hear Johnny Mathis, I immediately think of my mom - she loves his voice! This morning I turned on my Christmas playlist and that song came on. I haven't seen my parents in a year and I am really missing them, especially after my dad's heart attack last week (and my mom hasn't even met Louisa yet! Sniff sniff). They return home from their mission to England in just a few weeks, and we weren't planning on going to Arizona for Christmas but now we are trying to make it happen. We hadn't anticipated this move to Seattle when we were planning out our yearly budget, and last minute plane tickets during the holidays are astronomical, if you hear of any good last minute deals - send it my way! Anyway, I guess when I turned on Johnny Mathis this morning, I got a little misty eyed thinking about all the wonderful Christmas memories and traditions that I was blessed to grow up with. I am resigned to listening to lots of festive music and making the most of our first "on our own" Christmas together if it ends up being that way. Here is my list of songs that "feel" like Christmas to me. This was/is my mom's favorite Christmas album for years. As soon as it came on for the first time of the year on my mom's kitchen stereo, it was time to get out the decorations! This entire album reminds me of growing up because of Karen Carpenter's voice. Pure memories, right there! I have tons of great memories of going to our cabin in the White Mountains and listening to John Denver, so when I hear this, I think of snowy winters and driving through the pine trees in our old Suburban. This song makes me laugh. My dad loves this album and I always thought it was so cheesy and used to roll my eyes at the 80's synthesizer but now I find it endearing cause it reminds me of him, sitting in his den in his creaky chair and tapping his pencil on his desk. I can even smell my dad's smell of spearmint gum and Ralph Lauren Polo Blue - ha! This is my favorite version of this song. It just is sung so perfectly by one of my favorite musicians and every time I hear it, I am in the mood to cozy up next to David. I HATED this song until I heard this version - at least listen until 2:15. My sister-in-law, Leone, introduced to me to this song and after I heard it, I actually listened to the words and realized that the message is beautiful. Christmas Dreaming - Harry Connick, Jr. This one is a newer favorite but I love the I guess the harmonies reminds me of a Disney choir a little bit which makes me smile and I just love Harry! Let's face it - this is the most quintessential Christmas song of all time. The second I hear this song, I am instantly in the mood for Christmas! It makes me want to pull out all the Christmas movies I love and bake and snuggle in front of a fire! All my favorite things! If you've never heard this version of the song with narration by Edward Herrmann, you are missing out. It is one of my favorite Christmas carols but the story behind it is so beautiful. My parents have this MoTab performance on DVD and it's one of my favorite things to watch every year (especially this song by Brian Stokes Mitchell). That's a good list, but you really need to think about adding some Perry Como. He is the voice of Christmas to me.